Lot size is 31 x 200 and 50 x 61. L shaped lot. Larger parcel faces Dyal St. Dyal St. is dead end street. 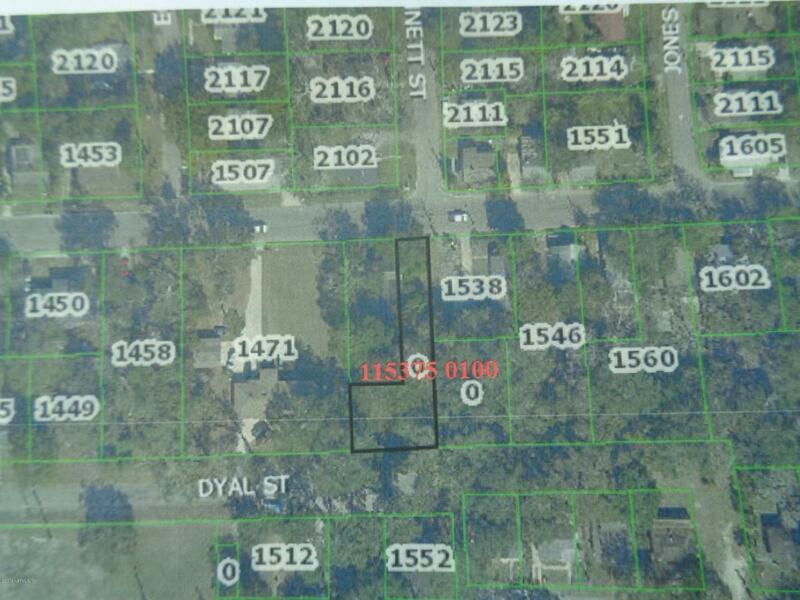 Lot is 31' x 100 on E 11th and 81' x 61; on Dyal St.